when given the basic information. HFI's legendary instructor, Dov S-S Simens, is available as a one consultant or on a group lecture basis. $10,000 ($12,500 INTERNATIONAL), PLUS TRAVEL. $15,000 ($20,000 international), plus travel. UPON BOOKING, 50% NON-REFUNDABLE DEPOSIT REQUIRED. $25,000 ($30,000 international), plus travel. 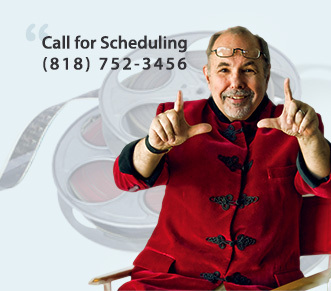 Projected Course Revenues: An average 2-Day Film School™ marketed at $395 should garner 200-350 enrollees for a gross of $80,000 to $140,000.